Our pastures, which had lain idle for nearly 30 years, have been totally redone. It is better, leaner, more delicious, just as tender. It honors the natural animal. Cows are ruminants, designed to eat grass, not corn and other grains. It is efficient, and good for the environment. 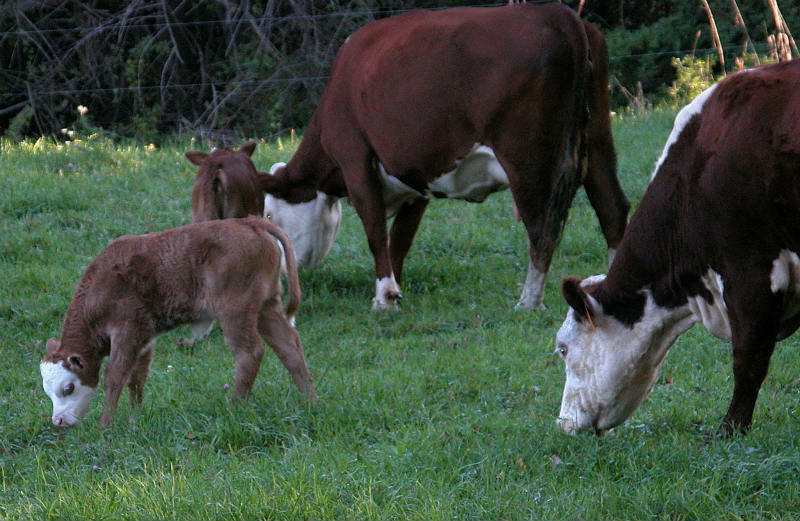 Fossil fuel use to raise animals on pastures is minimal. Antibiotics are not necessary. Since animals eat what they are designed to eat, they do not develop dangerous antibiotic resistant pathogens in their digestive tracts. 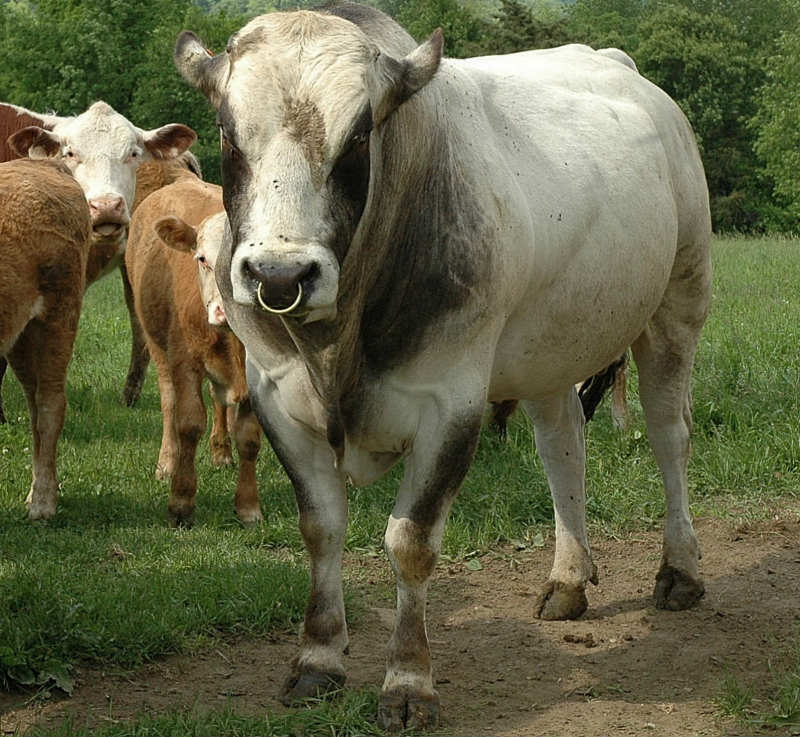 Grass fed animals take longer to mature naturally - no growth hormones are used. 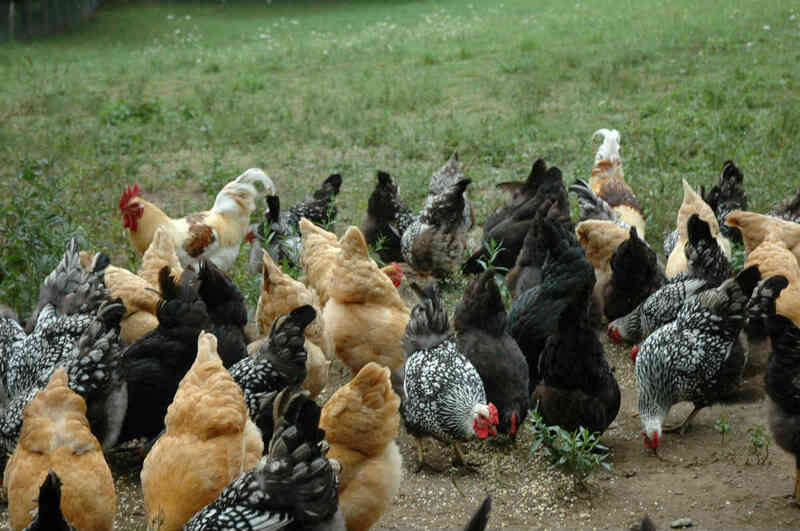 Our small flock of Silver Laced Wyandottes, Buff Orpingtons, Red Rockets and Black Australorphs are strictly pasture raised, and lay large brown eggs. There isn't a cage or a confinement building in site. They do eat some commercial feed, a combination of grains and legumes, but it is without animal by products, and is antibiotic and hormone free. 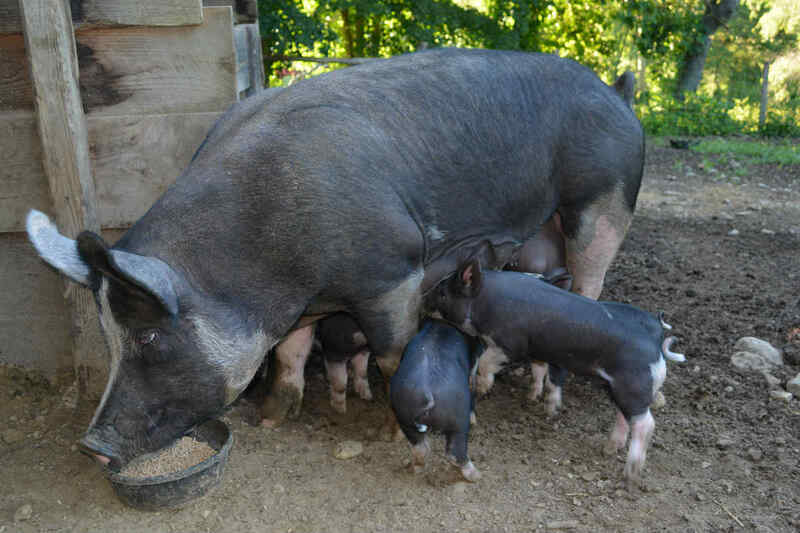 Our Berkshire hogs and Berkshire Tamworth cross hogs produce piglets each spring. They are rugged and active breeds of swine favored by those interested in raising a lean hog. The sows produce litters of 8-10 piglets annually. Our pigs are pastured and receive kitchen waste and a small amount of soy and corn feed. We are proud of our lean and healthy pork products both fresh and smoked. We have a growing flock of sheep. 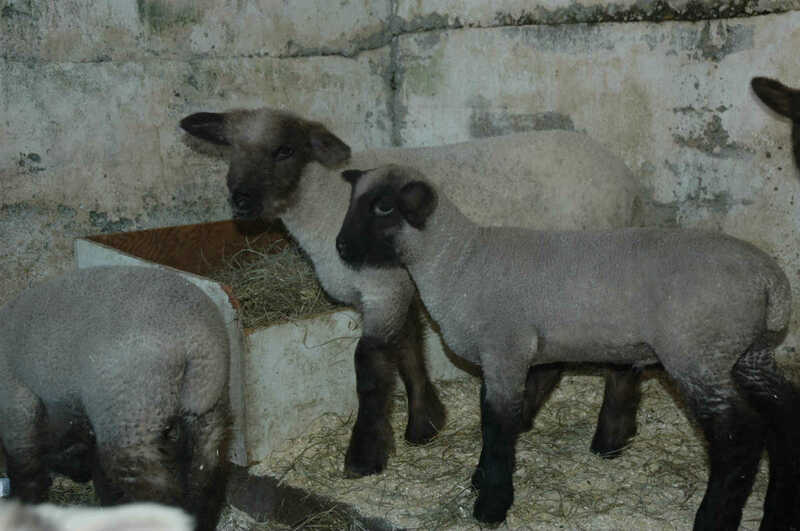 We have Romneys, a dual-purpose sheep with long staple wool, which is lovely for spinning. Our great Pyrenees dogs, Sadie and Sophie, keep them safe from predators.